Buy a five million dollar Super Bowl commercial and who knows if you will ever make that money back. With paid search, however, you can see how much you’re making (or losing) as long as someone is paying attention to your campaigns. If you add some deep analysis on top of that, you can even see how efficient your campaigns are and how you can improve. 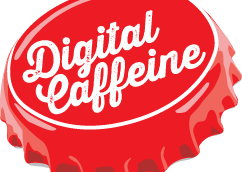 Digital Caffeine can help you with all of this and explain it, simply and clearly, to you every step of the way. On a scale of 1-10, how would you rank the efficiency of your campaign? Whether you are managing this yourself or have an agency doing it, having an outsider take a deep analytical dive into what’s going on can give you much better insight into just how optimized your campaign is, how well aligned it is with your business goals, and what you can do to improve it. Looking for a top level audit? We can do that for free. Looking for a deep dive audit with uber specific details on what’s working and whats ? Check out our Paid Search Audit.